If you have a pipe burst or flooding in your home or office, you need to get it taken care of as soon as possible. 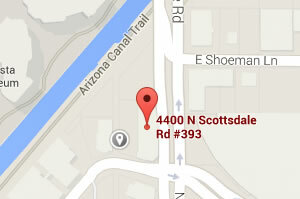 If you’re in Chandler and need emergency water removal and drying, Magic Touch Carpet Repair is there for you. From start to finish, we’ll make sure that your property is restored as well as it can be and minimize your inconveniences. If you find that you have saturated carpet or freestanding water, all is not lost! Call us immediately. While we hurry over, you can minimize damage to your home if you act fast. Following these steps can help you save furnishings, equipment, and money. Stop the source of water if you’re able to. If not, contact a professional. Shut off the circuit breaker to the affected rooms if it is safe to do so. Remove furniture from affected rooms if you can. If you have dry rooms, make room for heavy items in those rooms so the restoration team can quickly move them. Soak up any freestanding water you can with a mop and bucket. DO NOT USE A VACUUM CLEANER OR ELECTRIC TOOLS TO REMOVE WATER. Open windows and doors to allow natural air flow. With our industrial-grade equipment, we can extract a lot of the water saturating your carpet. However, the carpet will still need through drying. If your floorboards stay wet, several issues can occur in your home, such as mold and mildew accumulation that can cause health hazards to you and your family. Our commercial drying system will thoroughly dry your carpet without shrinking it and often, your carpet can be restored instead of replaced. If your property needs emergency water removal, don’t try to do it yourself. With our knowledge and experience, we can reduce hefty repair costs and lessen damage to your home. Call or contact us right away for water extraction and drying in Chandler and we’ll treat your place like it’s our own.